Just in case you didn't notice, we're trading up some of our old tackle for a new look. We're still trolling through some changes, so please be patient as we transition into our new gear. We hope you enjoy the new look and feel as much as we do! 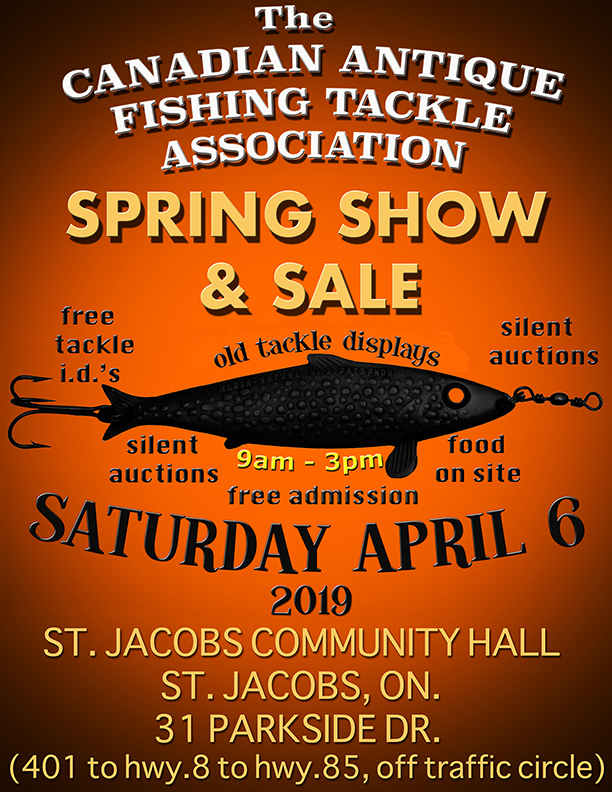 The Canadian Antique Fishing Tackle Association (CAFTA) is a non-profit association dedicated to the growth, development and promotion of collecting and preserving our angling heritage. Our members have taken the time to provide those who enjoy our hobby as much as we do with resources and information you just can't get in one place anywhere else. Thank you for visiting us, we hope to see you at our next event. CAFTA recognizes the value of all levels and directions of collecting, from the beginner to the elite collector. We promote education and enjoyment of the hobby first and foremost and invite camaraderie between collectors and all who are interested in our sporting past. We hope that information will be exchanged freely and honestly in an order that all involved can increase their knowledge, enjoyment and interest in this fascinating hobby. We welcome your comments and questions and are always happy to have new members join.